We haven't gotten to travel a lot as a family. Partly, I admit, we're kind of wimps about trekking with the kids. I don't know why: schedules, potential tantrums and generally too many variables. I have tons of friends (ie: most of them) who bravely take their kids everywhere. And I am jealous. There are so many places, near and far, I dream of taking my kids. I want to have adventures and make memories. But I've found it difficult to get around naps and the travel. Another glitch we've hit (until recently) is lack of funds. Travel can be expensive - even the shortest most local of trips. You want to go on a Disney Vacation? Get ready to shell out thousands. You want to visit your nearest city for a day of museums and other fun attractions (including meals)? It all adds up. So how can a family make the most of travel without breaking the bank? CityPASS is a ticket booklet of 5-6 popular attractions in a particular city (there are 11 destinations available around North America). CityPASS booklets contain prepaid admission to the must-see attractions of these Big Cities and travelers can enjoy significant savings of up to 48 percent. Plus, skipping most main-entrance ticket lines. That is huge when you are planning a trip! Upon first use of the booklets, you have 9 days to visit the attractions before it expires. The creators of CityPASS wanted people to "experience a destination: without a lot of fuss and at significant savings." 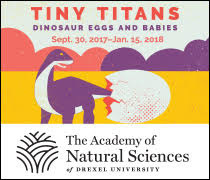 As a family of 4 in the Philadelphia area, CityPASS gives us access to family-friendly attractions such as The Franklin Institute, Please Touch Museum, Adventure Aquarium and the Philadelphia Zoo. For our family of 4 (2 adults, 2 kids) to visit each of these attractions, it would cost roughly $280. If we bought 2 adult and 2 child Philadelphia CityPASS's, it would only cost $196. Plus there are several other attractions that you can visit on the CityPASS that I didn't account for, such as Phila Trolley & Big Bus Company (which would have cost another $75). That's a lot of savings when you are planning a big trip! The great thing about CityPASS is that it allows you to travel (and save) near and far. If you live near one of the 11 Big Cities covered by CityPASS, you can easily do a Staycation and visit the attractions over the course of a week. CityPASS booklets are valid for 9 days after initial use, which gives you more than a week of fun day trips (or use the savings to stay overnight!). If you are travelling far and visiting one of the CityPASS Big Cities, you can explore a new place without breaking the bank. When we finally adventure on our first Big Family Trip, I will absolutely look into utilizing a CityPASS booklet. I can't think of a better way to explore a new city! Until then, purchasing a CityPASS will be a fantastic way to make the most of school breaks (Spring and Winter) or doing a local Staycation during the Summer. If you or your family has Spring Break this week, jump on the chance to have some fun adventures by purchasing a CityPASS for your local city. What a fun way to spend your time off! Winners will receive two adult CityPASS ticket booklets to their destination of choice: Atlanta, Boston, Chicago, Hollywood, Houston, New York City, Philadelphia, San Francisco, Seattle or Toronto. Each CityPASS contains actual admission tickets to a destination's top five or six attractions. At many sights, CityPASS provides VIP access, allowing travelers to bypass an attraction's main-entrance ticket line. CityPASS ticket booklets are valid for nine consecutive days, beginning with the first day of use. Booklets may be activated (first used) anytime between today's date and Feb. 28, 2015. Giveaway will run until Friday, March 29 at noon. I will contact the winner thereafter, and the winner will have 24 hours to respond and accept! Just enter with the Rafflecopter widget below! Connect with CityPASS on Facebook and Twitter. Disclosure: I was provided 2 adult CityPASS booklets in order to facilitate this review and giveaway.